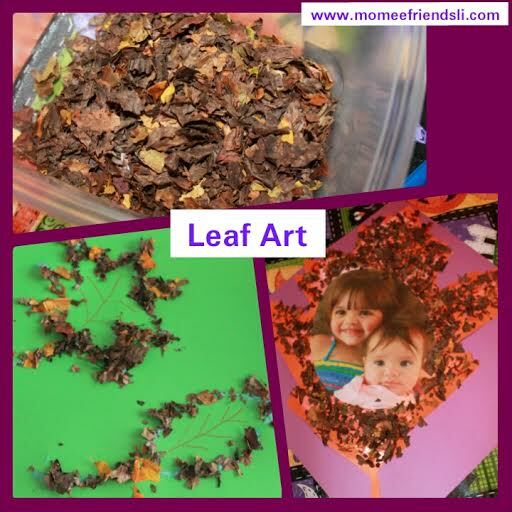 Head outside and collect the crunchiest leaves you can find with your little ones to make these fun leaf artwork pieces. 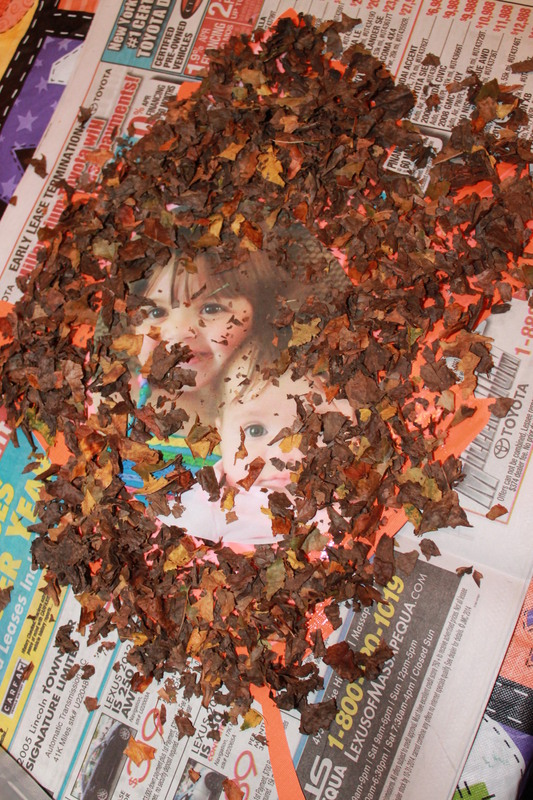 Instead of using glitter or confetti using crunchy crushed up leaves for art is a great fall project. What child doesn’t love the fall leaves when they begin to turn colors and crunch so loud when you step on them outside? As an adult I still love the fall and crunching leaves when they are at their crispiest. It is such a great sound and reminds me of my childhood. 1. 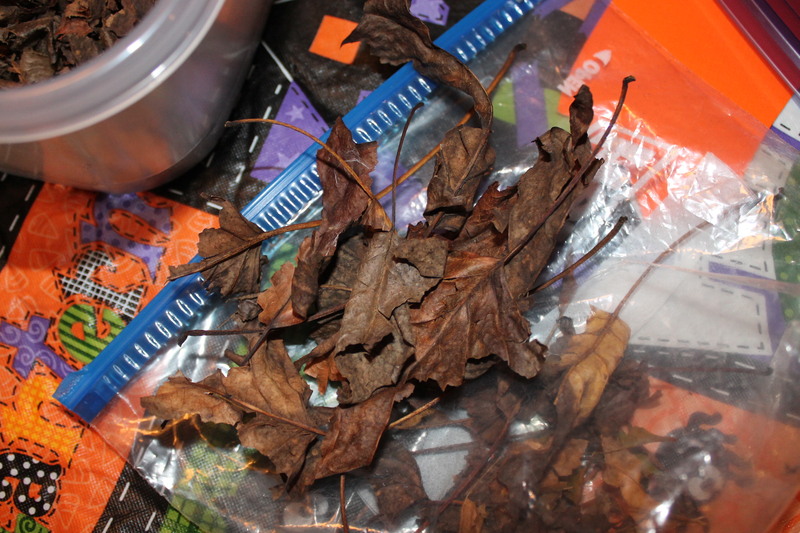 For this project you need to go outside and collect the crunchiest leaves and then put them in a container. 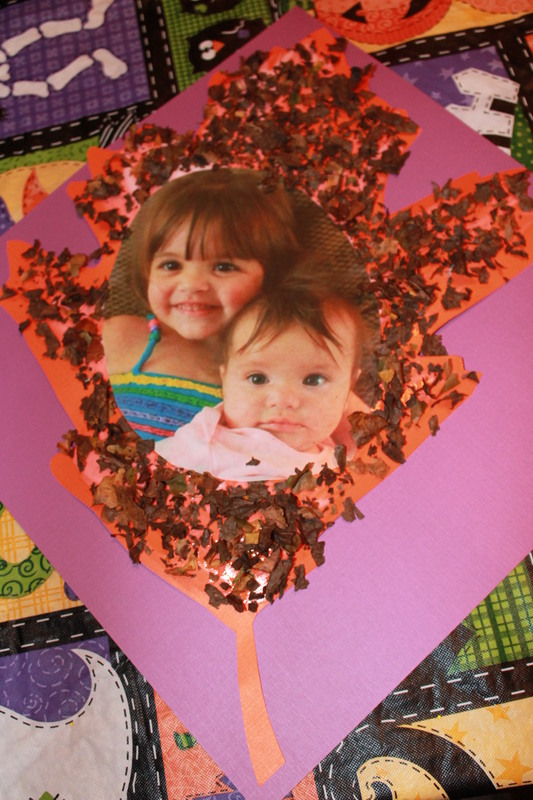 Make sure to take all of the stems off the leaves because they do not look as pretty on the art project. 2. 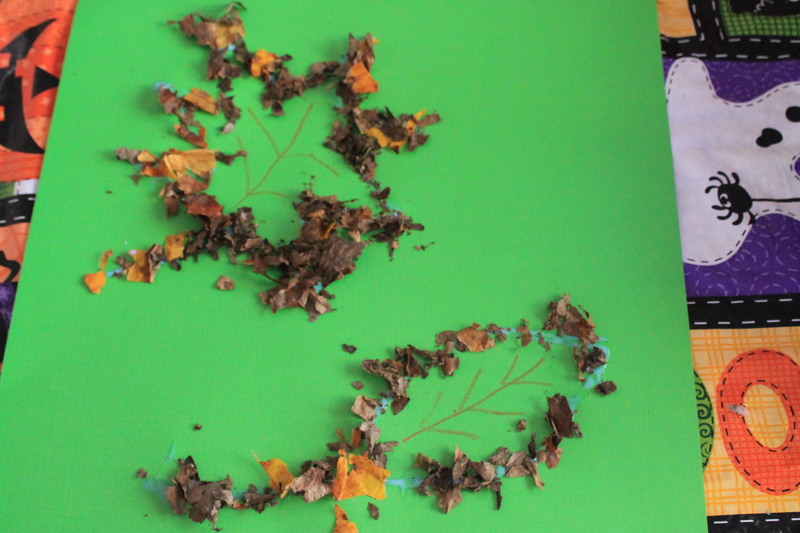 Draw leaves on whatever paper you like. I used cardstock for this project. 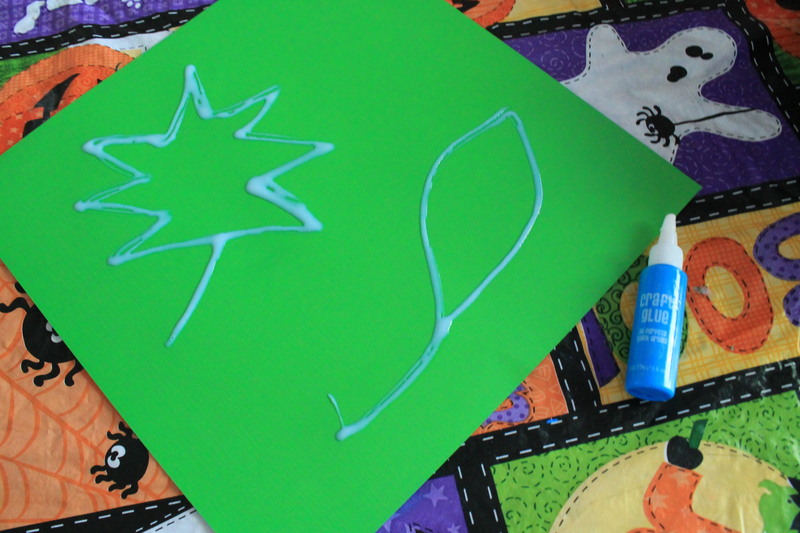 Then using glue outline the leaves that you drew. 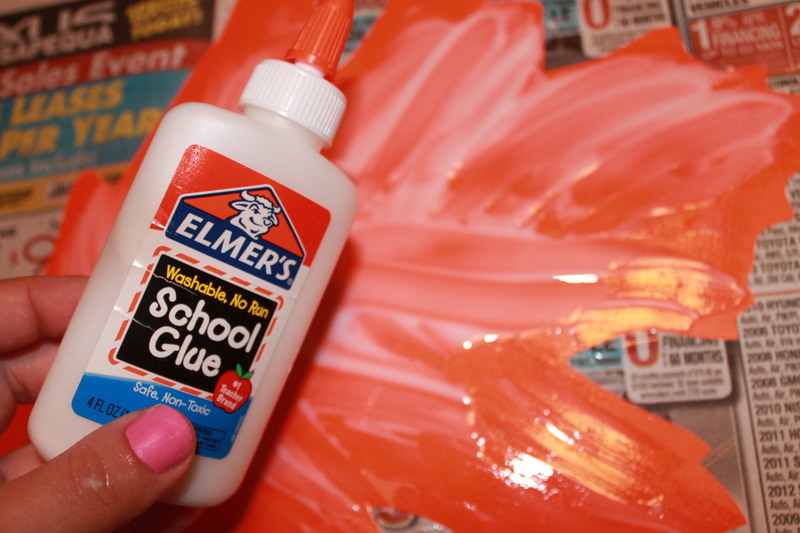 Or just draw the outline freehand with your glue. 3. 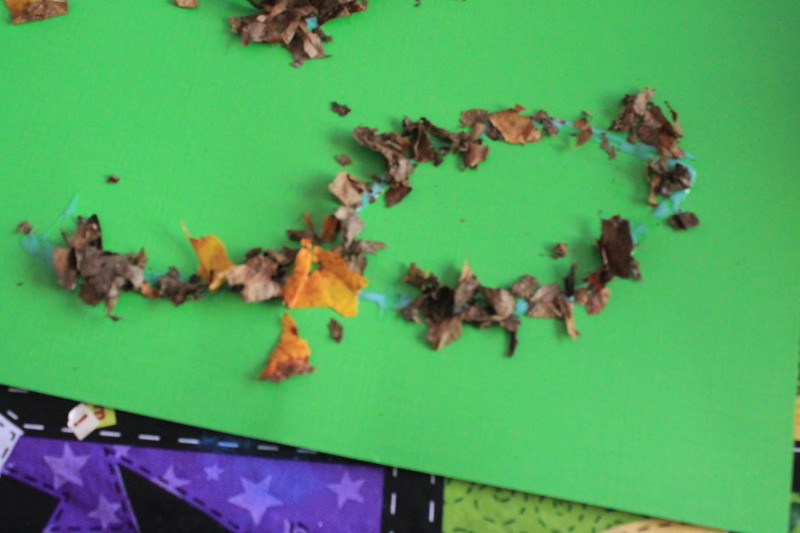 Now, take your crunchy leaves and put them on top of your glue. 4. Shake it off and your picture is complete. 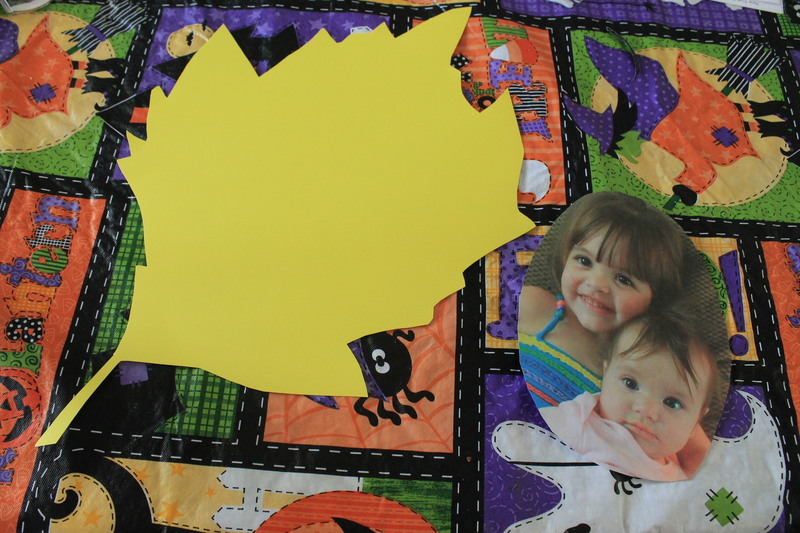 I took this a step further and I cut a leaf free hand out of cardstock and decided to make a leaf for my wall with my daughter’s picture in it. 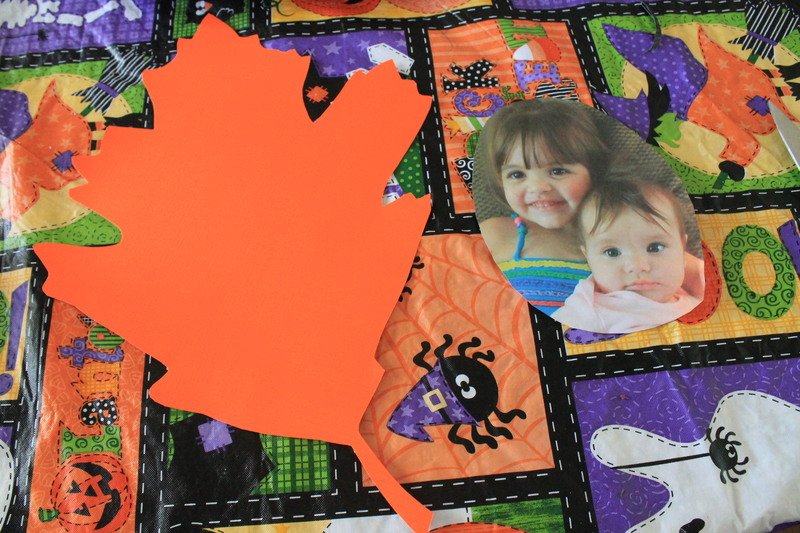 Cut out a leaf any type you want free hand out of cardstock. Put glue all over the leaf. Put your picture in the center. 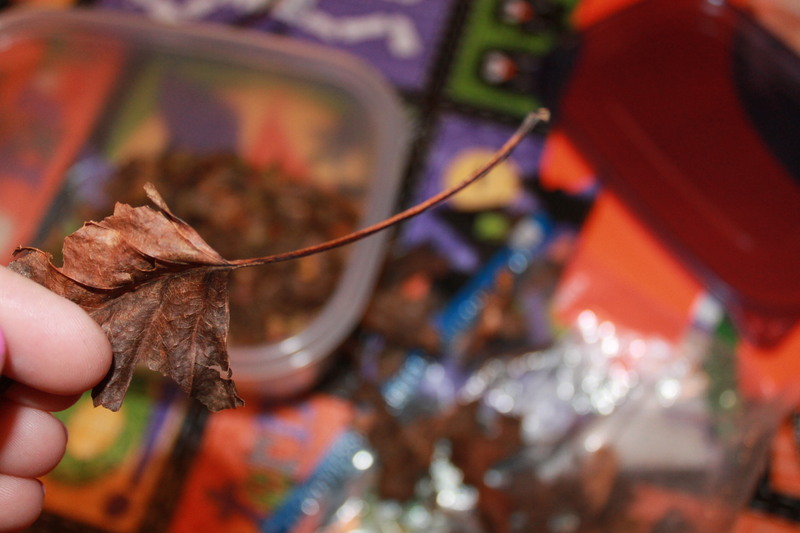 Then shake the leaves over the rest of the leaf. Shake off the excess leaves and your photo leaf is complete. 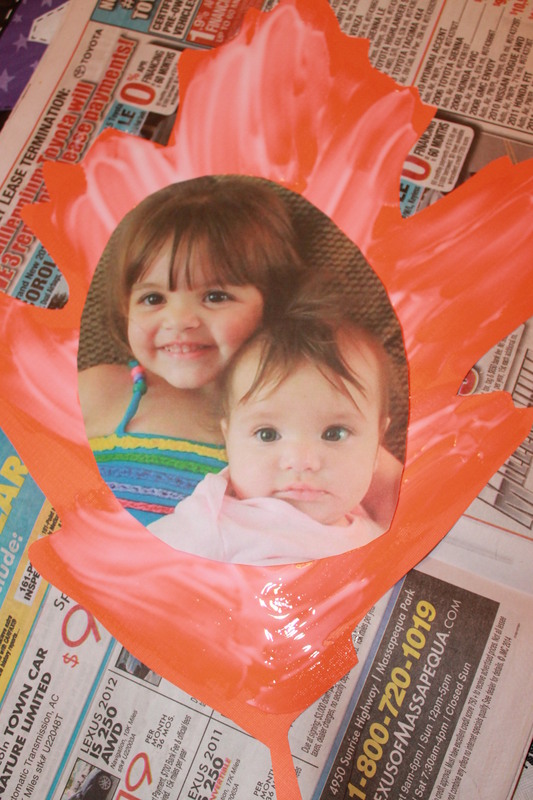 This is an easy craft for your kids to do after searching for leaves outside in the fall. 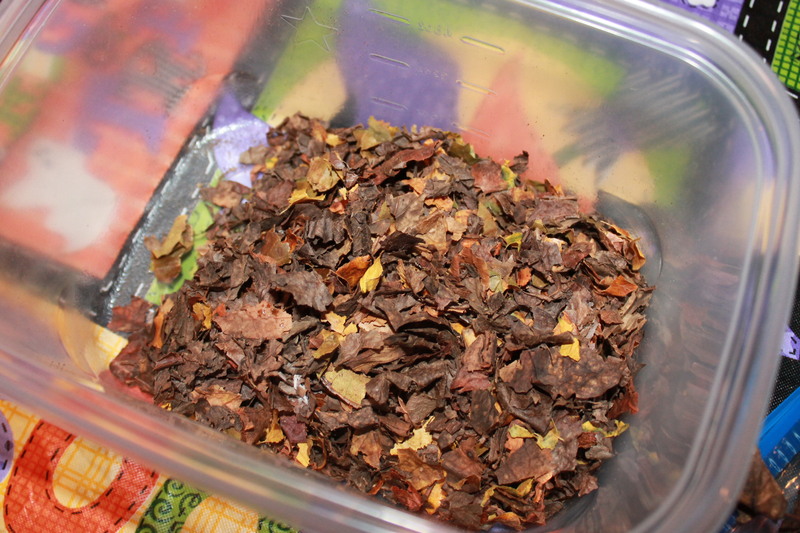 Shown below is a chart of common leaves found on Long Island along with their shape and fall color. 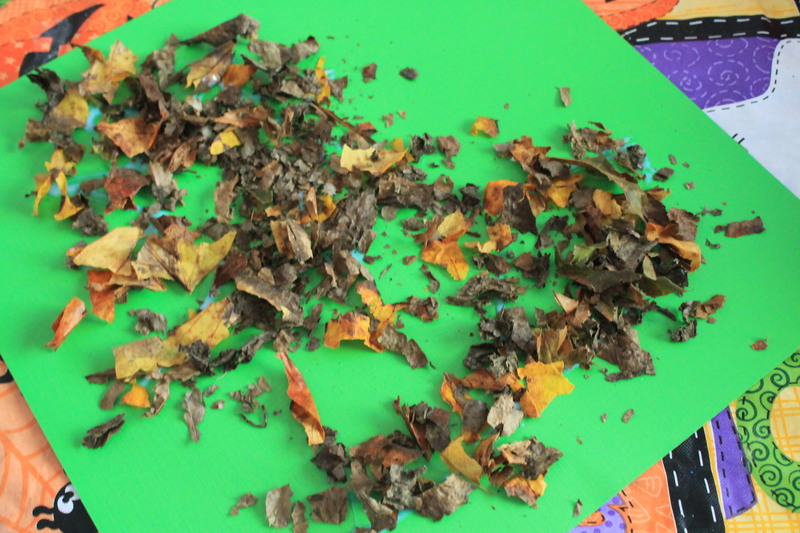 This will be a fun activity for you to do with your child playing a leaf identifying game. 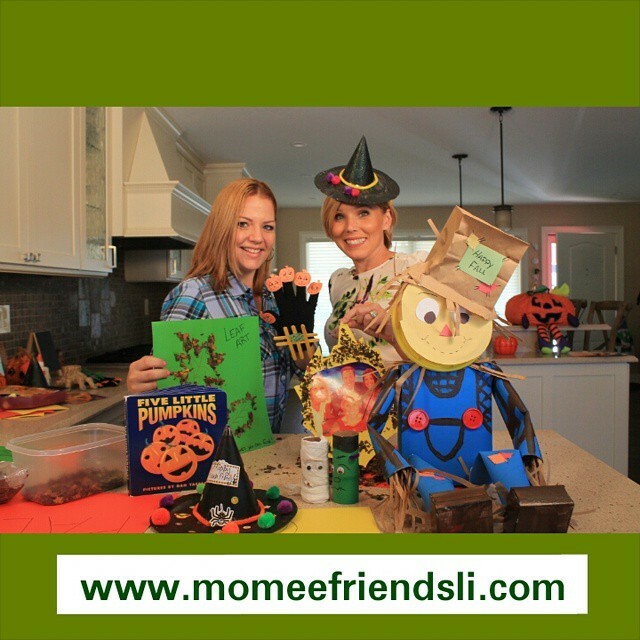 From my Momee Craft Corner to yours… Happy Fall Crafting!